The first stage will be to identify locations where geothermal potential is the greatest, and this research centre explains that it estimates at a depth of around 5 km, the temperature reaches around 150º and this type of energy supply is capable of producing electricity. After the first use of the Geo-CoolerTM in 1977, Elwood’s mud coolers were used throughout the rest of the 70’s and 80’s for geothermal projects in California. The engineers and company men involved in these geothermal wells later became the HTHP oil and gas drillers of the early 90s. Due to their experience with the Geo-CoolerTM, they requested for Elwood to ship his equipment to both onshore and offshore drilling rigs. By 1995, Geo-CoolersTM were shipped frequently outside California and even internationally. The demand for Geo-CoolersTM led to a new design, which could be cost effectively shipped to international customers. Drill Cool Systems will be exhibiting at the GRC Annual Meeting & GEA GeoExpo+ from October 1-4 at the Salt Palace Convention Center. Lower temperature geothermal reservoirs, and waste water from geothermal power plants, can be used directly for heating domestic and commercial buildings, for industrial and agricultural applications, and even for cooling buildings using absorption chillers. 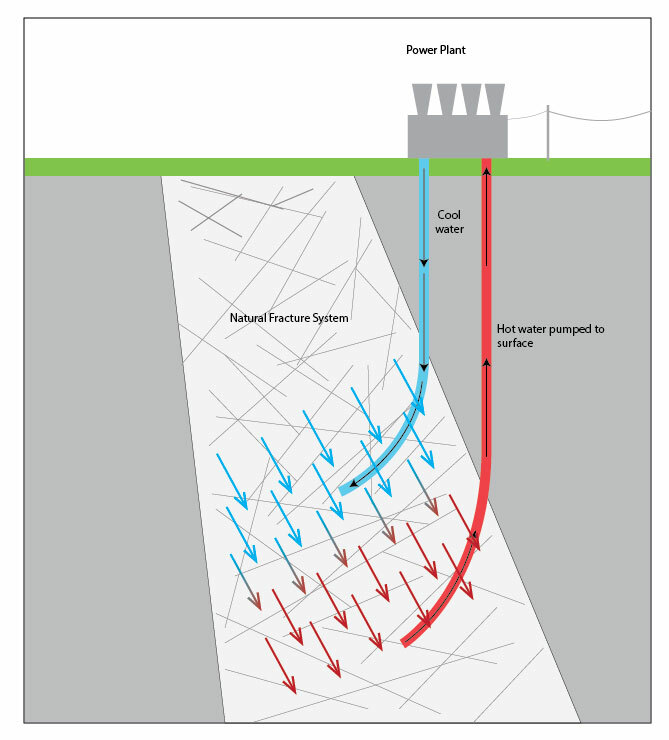 Thanks to Hotspur Geothermal (formerly Cluff Geothermal), a British geothermal development company based in London. Geothermal energy is increasingly recognized as one of the most important renewable sources of energy available. It has one of the lowest carbon emissions of any renewable energy source. 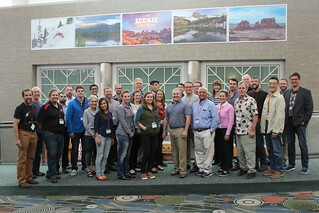 The 2017 GRC Geothermal Resource Decision Workshop 2 extends the successful 2016 GRC workshop on building realistic geothermal resource conceptual models to support decision risk assessments of well targeting and resource capacity, but focuses on both preliminary evaluation and the use of more detailed geoscience and engineering data available from wells to support field operations decisions. The experience of the 2016 workshop will be summarized to provide context for the integration of rock cuttings analysis, fluid geochemistry and well test results to support decisions on well design, real-time well completion and success/failure assessment at the appraisal stage following an exploration success in a >240°C volcano-hosted resource. Lectures on preliminary geoscience evaluation of <180°C fault-hosted prospects will support an exercise that will simulate a geothermal lease auction. Geothermal development continues aggressively on Nevis. In recent days, members of Nevis Renewable Energy International (NREI) and DOSECC Exploration Services LLC concluded a meeting in Austin, Texas. Drilling contractors DOSECC, based in Salt Lake City, Utah, are engaged to conduct and complete the well installation. DOSECC is known in the geothermal industry for its commitment to scientific integrity, core quality, safety, and risk mitigation, all of which will continue to drive forward the Nevis geothermal project. DOSECC Exploration Services (DES) will be exhibiting at the GRC Annual Meeting & GEA GeoExpo+ from October 1-4 at the Salt Palace Convention Center, Salt Lake City, Utah, USA. The Municipality of Cumberland is requesting quotations from qualified drilling contractors, to provide the necessary services to drill test wells and install casing into former mine workings as various locations within the Springhill Coalfield mining district, in the community of Springhill NS. Since their abandonment in 1958, the workings flooded. In the late 1980s and early 1990s their value as a geothermal energy source was realized and a number of boreholes were drilled to tap the energy source. Some of the original wells and a number of new wells are still being utilized as a mine water geothermal energy source. All the current geothermal wells were drilled into the upper portions of the mine workings. The British Geological Survey (BGS) has announced the location for a new 'observatory for the underground' that will provide important research evidence on natural resources for heat and energy. The BGS has confirmed the Ince Marshes area in North Cheshire as its preferred location for the Cheshire Energy Research Field Site, part of a £31 million science investment. The UK Geoenergy Observatory will gather new information from the two research sites, the Cheshire Energy Research Field Site and the Glasgow Energy Research Field Site. Together they will underpin the development of energy technologies and advance our understanding of the underground environment. Professor John Ludden, Executive Director of the BGS, said: "We need the subsurface environment to develop a mix of low-carbon energy technologies at the required scale - whether that's for carbon storage, energy storage, geothermal energy, hydrogen production or lower-carbon energy sources. It is vital that we build the best-possible geological evidence base to be able to optimise the process without an adverse impact on the environment. Bohren mit dem Elektro-Impuls-Verfahren könnte die Bohrkosten für die Tiefengeothermie deutlich reduzieren. Anfang des Monats ist auf dem Campus der TU Bergakademie Freiberg erstmals erfolgreich Gestein in einem echten Bohrloch durch Blitze zerstört worden. 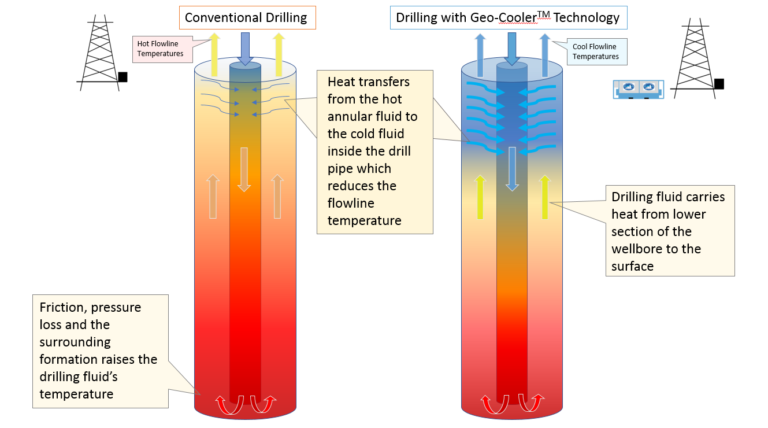 (Google Translation) Drilling with the electric impulse method could significantly reduce the drilling costs for deep geothermal energy. At the beginning of the month, on the campus of the TU Bergakademie Freiberg rock in a real bore hole was successfully destroyed by lightning for the first time. Despite having made his $1,5 billion dollar fortune on fossil fuels, Mika Anttonen is among the most passionate renewable energy champions in Finland. His St1 petrol chain, with some 1500 stations around the Nordics, has made big bets on wind power, biofuels, and now, emission-free deep heat technologies. Although the latter project, called St1 Deep Heat, put its drilling on hold back in February due to technical issues it has now resumed excavations. The goal is both simple and breathtaking: drill two 7 kilometer wells deep into the granite bedrock, pump water into one of them, let the 115 celsius environment warm the water and push it back out of the second well. After feeding the recovered water through a heat exchanger in Espoo, the plant seeks to cover 10% of the district heating needs of the city and produce up to 40 MW of thermal energy. As Finnish heat networks currently rely heavily on fossil fuels, completely emission-free geothermal heat production can mean a large jump towards the goal of reducing CO2 emissions. The Department of Energy pushed the Federal Energy Regulatory Commission (FERC) on Friday to boost compensation for generators providing baseload power supplies, proposing the most significant overhaul in the nation's competitive power markets in over a decade. DOE filed a Notice of Proposed Rulemaking (NOPR) under the Federal Power Act to enhance grid resilience, directing FERC to "accurately price generation resources necessary to maintain reliability and resiliency." The rule would provide for "recovery of costs of fuel-secure generation units frequently relied upon to make our grid reliable and resilient." The filing comes after the completion of a grid reliability study from DOE that urged federal regulators to boost compensation for baseload generators. The NOPR directs FERC to act within 60 days. A pioneering programme to bring a network of sustainable, low carbon and low cost heat energy to Stoke-on-Trent is underway. Over the next 11 weeks, the first 700 metres of pipe will be laid underground between Leek Road and Boughey Road in Stoke. It is the first phase of four kilometres of piping around the University Quarter, which when completed next year, will mean that businesses and households will have the potential to connect to receive low maintenance, affordable heat, without the need for gas boilers in their properties. It is the first step in Stoke-on-Trent City Council’s innovative district heat network, a programme which won multi-million pound investment through the government’s City Deal that was secured by the Stoke-on-Trent and Staffordshire Local Enterprise Partnership in 2014. The network will go on to see 18 kilometres of piping laid underground across the city. The council’s ambitious proposals have already mapped out the geology under the city to look into ways of tapping into naturally forming underground geothermal energy, which would heat the network, helping to power the local economy and provide alternative, sustainable energy for households. GRC Annual Meeting & GEA GeoExpo+ - Event App Updated! Geothermal Energy Event - We've Got an App for That! 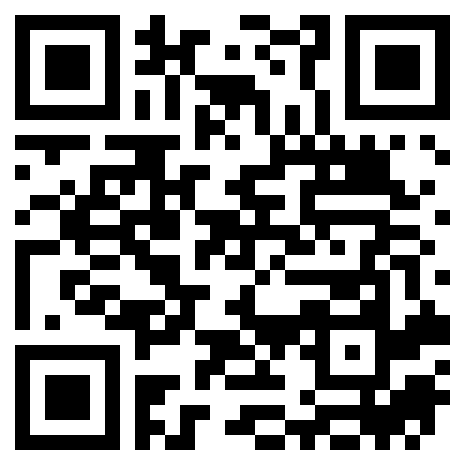 The GRC is again providing a Mobile app for the GRC Annual Meeting & GEA GeoExpo+. It is now available to download to an iPhone, Android or Windows Smartphone, tablet or laptop computer giving event attendees better access to information and networking. The mobile app also allows the GRC to post more information online and avoid print costs. Did you know you can advertise in the GRC Event App? Contact Anh Lay at alay@geothermal.org for more information. We strongly encourage you to download the mobile guide to enhance your experience at the GRC Annual Meeting & GEA GeoExpo+. You'll be able to plan your day with a personalized schedule and browse exhibitors, maps and general show info. You can browse all the essential information even without internet access. After a simple download and installation the app can be personalized with your own schedule and notes on activities. When you sign-in to the app you will be able to interact with other attendees and build an on-site network. Attendees will also be able to post their own photos and comments to the app for all to see on the "activity stream". The App is a work in progress, updates are loaded as information becomes available and your feedback is encouraged as you get familiar with it. All questions and feedback can be sent to Ian Crawford at icrawford@geothermal.org. The U.S. Department of Energy (DOE) should place a higher priority on developing an accurate and actionable inventory of agency-owned or managed properties that can be leased or sold for energy development, says a new report from the National Academies of Sciences, Engineering, and Medicine. The report recommends a sequence of activities DOE can follow to manage its lands and identify properties that have promising profiles for energy resource development. Regarding geothermal, the Colorado School of Mines (CSM) performed an effective analysis on the relatively limited potential for geothermal development on the DOE sites evaluated. Given the limited number of private-sector groups involved in geothermal development, any future development can occur by direct talks between these firms and DOE. The Electricity Generating Public Company Limited (EGCO) has announced that Star Energy Geothermal (Salak - Darajat) B.V. (SEGSD), the affiliate of EGCO (20.07% indirect ownership interest), Star Energy Group Holdings Pte. Ltd. and AC Energy Holdings, Inc. have entered into Share Sale and Purchase Agreements with PT Austindo Nusantara Jaya Tbk (ANJ) on July 14, 2017 to acquire 95% share of PT Darajat Geothermal Indonesia (DGI). The share transfer was completed on September 27, 2017. DGI holds the participating interest of 5% in Darajat Geothermal Project Unit 2 and Unit 3, which have total capacity of 216 MW. The transaction increases SEGSD's indirect ownership interest in Darajat Geothermal Project Unit 2 and 3 from 95% to 99.75% while SEGSD remains to hold 100% indirect ownership interest in Darajat Geothermal Project Unit 1. 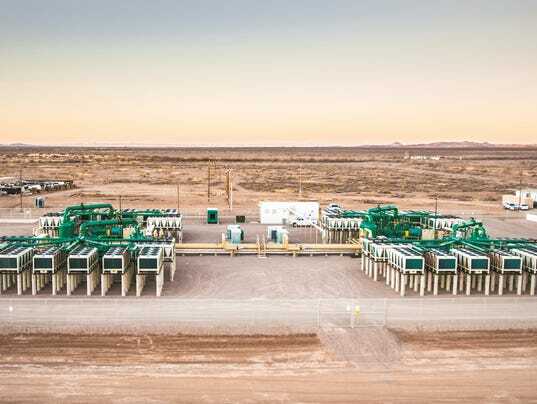 Two power facilities of publicly-listed PetroEnergy Resources Corporation (PERC) were recently recognized by international and regional energy observers and experts. On September 27, 2017, the 20 MW geothermal plant of Maibarara Geothermal, Inc. (MGI) in Sto. Tomas, Batangas was recognized in ASEAN Energy Awards 2017 as the Best Renewable Energy Project in the National Grid Category. The ASEAN Energy Awards, given since 2000 by the ASEAN Centre for Energy, recognize outstanding work for excellence, creativity, practicality and dedication in the energy sector. The awarding ceremony was held in conjunction with the 35th ASEAN Ministers on Energy Meeting (AMEM) and the 2017 ASEAN Energy Business Forum in SMX Convention Center, Pasay City, Philippines. Kizildere-3 C, by Matt Fishman. 65 MW Kizildere-3 Unit 1 Geothermal Power Plant, Turkey,. At the heart of this powerful technology lies steel. The material is integral to the safe and efficient functioning of geothermal plants due to its strength and durability. Dissolved carbon dioxide, hydrogen sulphide, ammonia and chloride are all present during the geothermal process, which when exposed to the majority of metals cause corrosion and destroy components ­– such as valves, filters and piping – over time. Steel, along with nickel and titanium alloys, are selected for their resistance to pitting and cracking, with thermally treated and ferric stainless steels with a low carbon content being the most resistant to corrosion overall, making this technology possible. Over 1,000 attendees will gather at the world’s largest annual geothermal energy event, the GRC Annual Meeting and GEA GeoExpo+, at the Salt Palace Convention Center in Salt Lake City, Utah from October 1-4, 2017. Utah Governor Gary Herbert will address the Opening Session of the meeting on Monday, October 2, and he will be joined by other special guests and energy experts. The Opening Session will attract leading researchers, academics, students, state and federal agency officials, and executives from over 200 companies, such as CYRQ Energy, Coso Energy, ENEL Green Power, Ormat Technologies, Inc., U.S. Geothermal Inc., and others that develop, build, maintain and operate geothermal plants around America and the world. The GEA GeoExpo+ features exhibits by leading companies who are paving the way for geothermal development through new projects, products, services, and technology. The exhibit hall will be open Monday at noon through Wednesday at noon. Power Plays will advance the understanding of geothermal resources, providing you with insights into developing this clean energy reserve. Join others with expertise in field operations, project development, technology, finance, engineering and resource assessment from the geothermal, oil & gas, and renewable energy sectors to explore economic solutions for geothermal energy at the Power Plays: Drilling into Geothermal Energy Applications conference. U.S. Geothermal Inc., has provided an update on two of its projects. The addition of a new production well (RRG-5) and an upgraded injection pump during 2017 have resulted in a total annual average increase of 1.6 net megawatts of generation at Raft River. The upgraded injection pump was installed in August, after which the flow rate from RRG-5 was increased and additional flow from rebalancing the wellfield was realized. This increased generation is captured under both our current power purchase agreement and REC contracts, and is expected to provide an estimated $1 million dollar increase in revenue for 2018. Further improvements to the plant and wellfield are being analyzed and will be considered in the future. U.S. Geothermal Guatemala S.A., a wholly owned subsidiary of U.S. Geothermal, Inc., has been awarded a $825,319 grant from the U. S. Trade and Development Agency (USTDA). 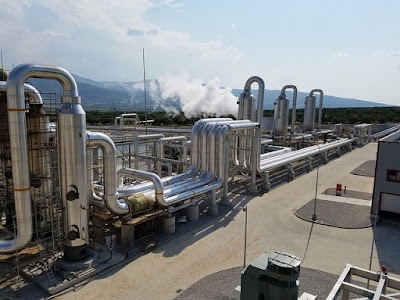 The grant provides funding for a feasibility study on the El Ceibillo Geothermal Power Plant Project, which will be led by POWER Engineers, Incorporated, headquartered in Hailey, Idaho. The scope of the study is to update the resource evaluation, power plant design, financial analysis, environmental and regulatory review, and EPC technical specifications and bid package evaluations, in order to advance the Project to a construction-ready state. We expect this study to begin within the next two months, with scheduled completion by the end of 2018. 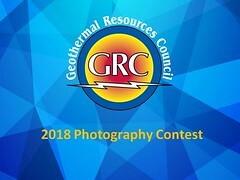 GRC Annual Meeting & GEA GeoExpo+ - Geothermal Event! 4 Days to the Geothermal Energy Event of the Year! GRC Mixer - Superb Networking! Hotels - Less than 500 yards away! Photo Contest - View all 100 entries! GreenFire Energy announced today that GreenFire Energy has selected Veizades & Associates to serve as the Project Management team for the world’s first field demonstration of closed-loop geothermal power generation. Funded in part by a grant by the California Energy Commission, this project will be conducted in collaboration with the Coso Operating Company near Ridgecrest California. The purpose of the project is to demonstrate the ability of GreenFire’s proprietary ECO2G™ technology to allow an unused marginal well to supplement generation. The project is slated to start initial engineering in September 2017 and be completed by October 2018. The goal of the Lawrence Berkeley National Laboratory led EGS Collab project is to collect data that will allow the team to create better predictive and geomechanic models that will allow them to better understand the subsurface of the earth. The team will drill two boreholes: one for injection and one for production. Each will be 60 meters long in the direction of the minimum horizontal stress. Six additional monitoring boreholes will contain seismic, electrical and fiber optic sensors. When the holes are drilled, the team will place “straddle packers”—a mandrel, or pipe, with two deflated balloons on either end—inside them. Once inside, they will inflate the balloons and flow water down the pipe to create an airtight section. They will continue to pump water until the rock fractures and use the monitoring equipment to listen for acoustic emissions, the sounds that will tell them what is happening within the rock. Epoch Energy of Calgary, Alberta, is looking forward to working with University of Alberta's lead geothermal scientist, Dr. Jonathan Banks, on leveraging clean, renewable geothermal energy for municipal infrastructure in the town of Hinton, Alberta. Alberta is uniquely positioned to use its world-leading expertise in drilling and services towards developing geothermal resources- a renewable energy industry that closely parallels oil and gas in exploitation and development techniques. Click here to read more on the project partnership from the University of Alberta. Plans for a $50 million expansion of the Dale Burgett Geothermal plant will move forward in October, per an announcement by Cyrq Energy last week. The geothermal plant, also known as Lightning Dock, began operation in December 2013. The first utility-scale geothermal plant in New Mexico utilizes hot water from below ground to help operate a turbine that produces electricity. It currently generates 4 megawatts of power for the Public Service Company (PNM), and Cyrq announced that the expanded facility, operational in “about a year,” will generate 10 megawatts. Cyrq Energy is a Silver Level Sponsor of the GRC Annual Meeting & GEA GeoExpo+ being held October 1-4 at the Salt Palace Convention Center, Utah, USA. Two Turkish companies - Hitay Holding A.S. and Aksa Enerji Uretim A.S. operating in energy sector have signed a memorandum of understanding (MOU) with the government of Indonesian province of Aceh to develop geothermal and gas-powered electricity plants in the region. Under the MOU Hitay Holding, as investor and developer, would develop the portfolio of geothermal project for geothermal power plant in Aceh. Hitay will also develop the site using a reliable contractor to carry out drilling, procurement and construction. Aksa Enerji Uretim in cooperation with Enersis on the other hand will manage the plant. Aksa and Enersis will provide the technology, goods and services needed for the investment project and its operation. Aksa will cooperate with the Aceh government to get the license needed to develop, build and operate the power plant and arrange the financing. Geothermal exploration work at Menengai in Baringo County will take longer than expected due to limited funds, the Energy Regulatory Commission estimates. The commission's acting director general, Pavel Oimeke, said delays in licensing, financial closure and technical hitches have contributed to delays in the setting up of the power plants by the Geothermal Development Company. "They are still looking for a lot of support from the government, but we expect before the end of this year, they will be able to make good progress and the power plant will be under construction," said Oimeke last week in Nakuru. He said GDC has contracted three independent power producers to build three power plants in the project to tap and produce 105 MW of electricity under phase one. 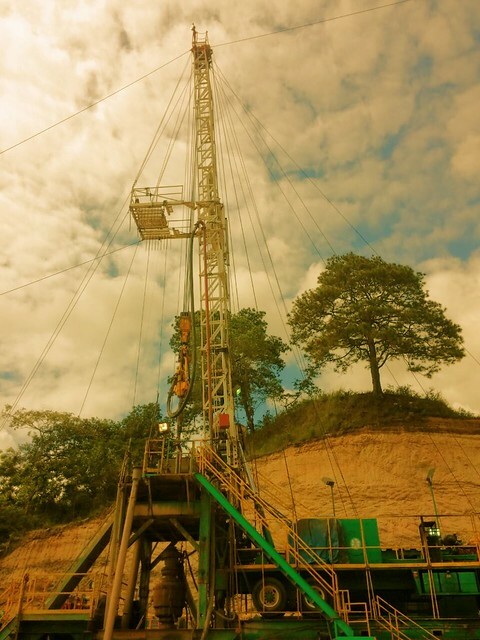 "GDC have been making good progress in drilling a number of wells. About 105 megawatts have been tendered and three companies are in the process of setting up the power plants to generate power from those wells,"he added. Ormat Technologies, Inc. today announced that its 35 MW Platanares geothermal project in Honduras has commenced commercial operation. Ormat signed a Build, Operate, and Transfer (BOT) contract for the Geotérmica Platanares geothermal project in Honduras with ELCOSA, a privately owned Honduran energy company, for 15 years from commercial operation date (COD). Geotérmica Platanares sells its power, under a 30-year power purchase agreement with the national utility of Honduras, ENEE. The project is expected to generate average annual revenue of approximately $33 million. Ormat Technologies, Inc. will be exhibiting at the GRC Annual Meeting & GEA GeoExpo+ from October 1-4 at the Salt Palace Convention Center, Utah, USA. Poland has huge resources of geothermal energy that are waiting to be harnessed, the country’s environment minister said on Tuesday. Jan Szyszko told reporters: “Under us, at a depth of 2 to 3 kilometres, there are huge resources of hot water. We are sitting on a central heating stove; all we need to do is connect the infrastructure." He was speaking at his ministry as central and local government officials signed agreements to drill for geothermal waters in various parts of the country. Drilling work will cost an estimated PLN 110 million (EUR 25.7 million, USD 30.3 million) and will be carried out in the districts of Sochaczew and Sieradz in central Poland, Szaflary in the south, and Lądek Zdrój in the southwest. A geothermal well will also be built in Chojny near the town of Koło in the country’s west. Poland has enough geothermal resources to meet the country’s needs many times over, Szyszko told reporters. The GRC has generously provided 10 pages from the latest issue for free! However, the full issue is 40 pages! 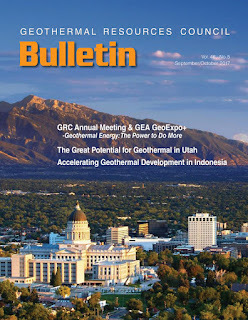 In this issue, there is an article on Accelerating Geothermal Development in Indonesia and on the Great Potential for Geothermal in Utah, the location for thisyear's GRC Annual Meeting & GEA GeoExpo+ . Also, there are 10 pages of geothermal news from around the world. Geothermal Engineering Ltd (GEL) has launched a Tender for the provision, management and maintenance of a suitable drilling unit to drill two geothermal wells in a hard rock environment. The wells will both required directional drilling and are to be drilled to different vertical depths: 2,500m and 4,500m. The project has all permitting in place and the wells are to be drilled in April 2018. The project is co-financed by the European Regional Development Fund and will be the first geothermal power project in the UK. The site is located at the United Downs Industrial estate, near Redruth in Cornwall. The closing date for the Tender is the 27th of October 2017. Netherlands: Geothermal Energy Projects "Reaching a Tipping Point"
Although once considered too great a risk from a technical, financial and legal perspective, geothermal energy is now a rising trend – at least in the Netherlands. The number of geothermal energy projects in the Netherlands is rapidly increasing and the developments seem to be reaching a tipping point. One such project is Trias Westland, a geothermal project initiated by 49 greenhouse companies which aim to heat their greenhouses in a renewable manner and against stable costs. Trias Westland will be the first project to carry out drillings in the Triassic at a depth of four kilometres to retrieve heat. To support its ambitious development strategy in renewable energies and energy efficiency, ENGIE, a French multinational electric utility company, issued yesterday its third Green Bond for a total of €1.25 billion. With this transaction, the total amount of bonds issued by ENGIE in Green Bond format since 2014 reaches €5.25bn, confirming the Group’s commitment to play a leading role in the energy transition whilst supporting the development of the green finance. The proceeds of this bond will be used to finance the Group’s growth in renewable energy or energy efficiency projects, and in natural resources preservation projects, as well as R&D investments in such areas and equity participations in projects of the social impact ENGIE fund “Rassembleurs d’Energies”. Japan’s LNG developer and stakeholder, Inpex, has decided to set up renewable energy and power business unit starting October 1. The establishment of a new company unit is in line with its growth targets and will enable it to carry out the renewable energy initiatives, Inpex said on Monday. The company is currently engaged in geothermal and photovoltaic power generation projects, technological development concerning a variety of renewable energies and studies on other power generation businesses. In order to further strengthen these business initiatives from a medium- to long-term perspective and pursue business development opportunities, the company will re-establish the existing new business planning unit as a new and independent organization, renaming it the renewable energy & power business unit. The new business planning unit, currently a subdivision of the corporate strategy & planning division, will be transformed into a standalone organization and renamed the renewable energy & power business unit. “Central America holds some of the world’s most promising geothermal resources, that if utilised can help the region secure and deliver, inexpensive electricity while stimulating low-carbon economic growth,” said Gurbuz Gonul, Acting Director of Country, Support and Partnerships at IRENA, on the occasion of the first Regional Geothermal Workshop in Central America last month. Public Service Co. of New Mexico’s 2018 renewable energy plan calls for 50 more megawatts of solar energy, plus higher output from current wind and geothermal resources. The company submitted the plan to the New Mexico Public Regulation Commission this summer to comply with the state Renewable Portfolio Standard, which requires public utilities to derive 20 percent of their electricity from renewable sources by 2020, up from 15 percent now. ADI-NQN is looking for investors interested in carrying out the operation of the geothermal field for a period of 25 years through a concession contract. The first phase will be for a 10 MW modular plant increasing to 30 MW in the second phase. 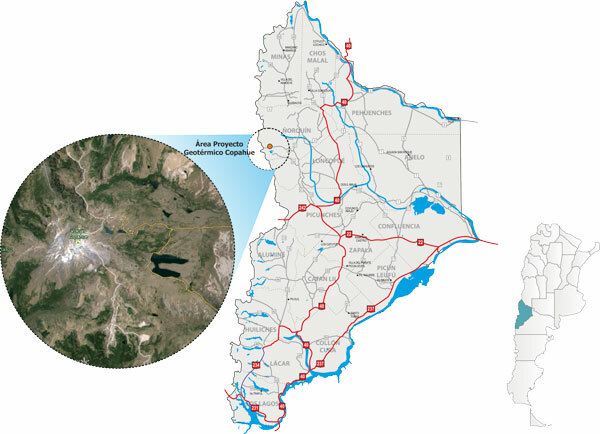 El proyecto consiste en la construcción de una central geotermoeléctrica a partir del aprovechamiento de los vapores endógenos obtenidos del campo geotérmico “Las Mellizas de Copahue”, la perforación de los pozos necesarios para alimentar la planta y la construcción de una línea de transmisión que vincule el área del yacimiento geotérmico con la Estación Transformadora más cercana que se integre al Sistema Eléctrico Nacional. (Google Translation) The project consists of the construction of a geothermal power plant from the exploitation of the endogenous vapors obtained from the geothermal field "Las Mellizas de Copahue", the drilling of the wells necessary to feed the plant and the construction of a transmission line linking the area of ​​the geothermal reservoir with the nearest Transformer Station that is integrated to the National Electrical System. 1 Week to the Geothermal Energy Event of the Year! Among the renewable energy options that are available in the Pacific Islands region, geothermal energy has been identified as a promising option states the Secretariat of the Pacific Community (SPC). Eight Pacific Island countries and territories – PNG, Solomon Islands, Vanuatu, Fiji, Samoa, Tonga, Commonwealth of the Northern Mariana Islands (CNMI), and American Samoa – are geologically-located along active tectonic margins where shallow heat sources underlie geothermal reservoirs that can be assessed and utilised for electrical power generation. Developing these geothermal resources will enhance the diversity of the region’s energy mix and help build energy security in the most populated countries: Fiji, PNG, Solomon Islands, and Vanuatu. Takahiro Miyamoto worked in cooperation with Kenyan engineers on a geothermal power plant, which now generates 18% of Kenya’s energy supply. Japan's efforts have helped reduce the cost of energy for all Kenyans while contributing to economic stability and growth for the country. European islands often face significant challenges when it comes to energy supply and energy costs. Due to geographic location, small economies of scale, and limited or absent interconnection to the mainland or to other islands, many islands are still heavily dependent upon costly imported fossil fuels to generate electricity or to meet their heating and cooling needs. To tackle this issue, the European Commission is now launching the Clean Energy for All Europeans Islands Initiative, which aims to accelerate the clean energy transition on islands, ensuring secure and cheap energy to their citizens, and create local jobs. Before finalizing feed-in tariff rates, BOE will hold a public hearing to collect opinions from all parties concerned in early November. There are many wonderful and charming cafes in the city, but these Salt Lake coffee shops are taking beans to a new level. Salt Lake is known for being the place to see awesome bands in intimate settings. Odds are you're car-free. No biggie. There's a ton of fun stuff to see and do right off the Trax line. Need a bite late at night? Here's where we recommend noshing. Spend your breaks browsing Salt Lake's funky treasure troves. Need to move your legs after some long hours in meeting rooms? Here are some super quick ways to get outside and see Salt Lake's surrounding beauty. Salt Lake breweries win a LOT of awards. Come find out why. Want a more complete picture of Salt Lake's nightlife scene? Try these walkable watering holes near the convention center. Spend a free hour or evening exploring one of SLC's cooler corners.